Don Corleone’s immortal words “I’ll make him an offer he can’t refuse” seem to be increasingly apt to describe the transfer environments surrounding several players these days. Financially sound offers may trump even loyalty at present times, and the kind of figures that are making the rounds would cause even recent arrivals to have their bags packed and ready to move to rich powerhouses. A good example of the same was set by Neymar last season, when his move from Barca to PSG broke transfer precedents, and the market honestly hasn’t been the same since. Now, the Brazilian could be on the move yet again, and one just needs to follow the cash. As per Don Balon, whose transfer news are always linked with the incredible, Neymar may be inclined to make a move to Manchester United in the summer. The report claims that Mourinho is willing to offer the 26-year-old a wage package that will make him the highest-paid player in the world, making the £500,000-a-week that Messi earns at Barcelona seem like peanuts. This is in addition to other guarantees that the gaffer has allegedly made to the star, the second being that United will adamantly push for titles after his arrival, and the final rather predictably being that Neymar will have a star position with the side, ensuring that the team will be built and play around him. Alexis Sanchez’s winter arrival simply hasn’t translated into the match-winning success that United hoped it would, and as of such, it seems that their coffers are all out to make a world-class signing that once and for all will secure their position. 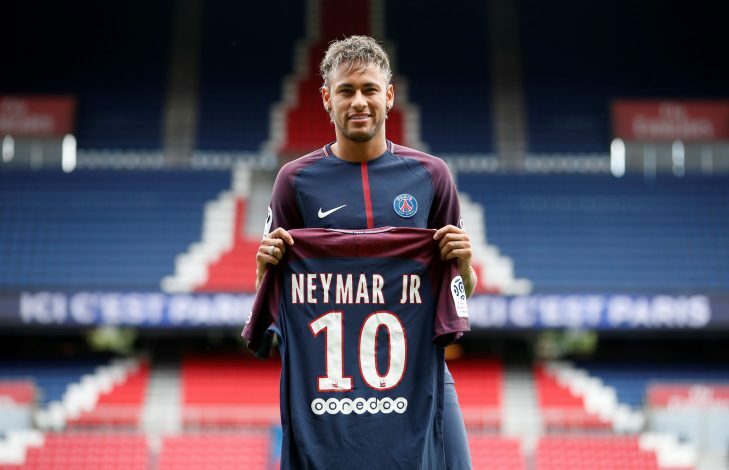 Apart from the financial benefits, Neymar will also be incentivized to make the move, as the Premier League is a giant leap in challenge and potential when compared to the Ligue 1. Will history be rewritten again?